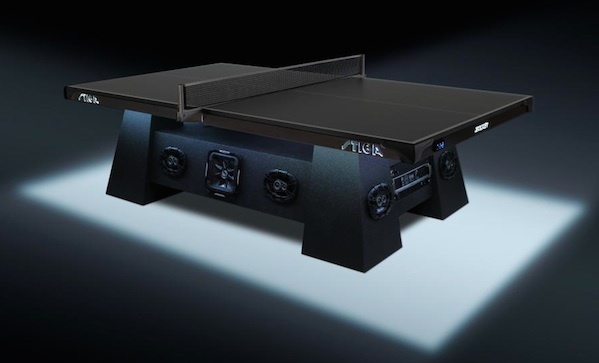 Why settle for JUST a black ping pong table when you can have a $15,000 STIGA Studio Table, which includes: a 2,800-watt sound system, 360-degree free-standing audio, two subwoofers, eight three-way six-by-nine speakers, and Bluetooth compatibility. Oh, and it features some LED lighting. We’re pretty sure that’s regulation ping pong.